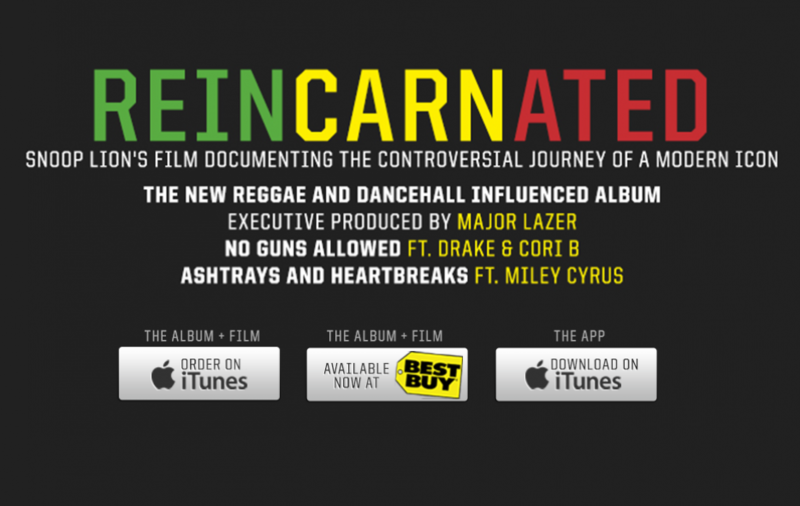 Vice magazine editor Andy Capper’s documentary sits in on the recording in Jamaica of the newly rechristened Snoop Lion’s upcoming reggae album. TORONTO – Any music star looking to stay relevant and sustain a career over multiple decades needs a certain flair for self-reinvention, and when spiritual awakening is involved, it’s often a cue for eye-rolling. (Paging kabbalah Madonna. Sorry, Esther.) Reincarnated accompanies the artist formerly known as Snoop Dogg as he records an upcoming reggae album of the same name in Jamaica, embracing the Rastafari credo of peace, love, positivity and primo organic ganja. While it doesn’t go deep on the transformation, Andy Capper’s intimate documentary makes a solid case for this as a sincere personal and professional odyssey.